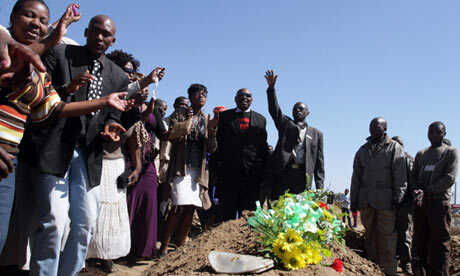 South African prosecutors have provisionally withdrawn murder charges against 270 miners who had been accused of killing 34 striking colleagues shot dead by police, but said they could be recharged when investigations are complete. Public anger had been mounting at the charges, made under an apartheid-era law under which the miners were deemed to have had a “common purpose” in the murder of their co-workers. The police killing of the strikers last month at the Marikana mine, run by platinum producer Lonmin , was the worst such security incident since the end of white rule in 1994, and recalled scenes of state brutality from that era. “Final charges will only be made once all investigations have been completed. The murder charges against the current 270 suspects will be formally withdrawn provisionally in court,” Nomgcobo Jiba, the acting national director of prosecutions, said in a televised news conference. The miners will be released from prison starting this week. In all, 44 people were killed in the wave of violence stemming from an illegal strike and union turf war. Top members of the ruling African National Congress had also expressed dismay at the charges as a public backlash gathered. “We are all surprised and confused by the national prosecuting authority’s legal strategy,” the ANC’s chief whip in parliament said on Friday. The ANC, whose members were gunned down by police at protest rallies and targeted with draconian laws before Nelson Mandela’s election as the country’s first black president, has been criticised for using similar tactics now that it is in power. The current president, Jacob Zuma, seeking re-election in December as the leader of South Africa‘s dominant party, has seen his support erode over the killings and the state’s handling of the matter. His enemies say he is more interested in protecting the industry and powerful labour groups than the miners. Talks to end the strike at Lonmin, the world’s third largest platinum producer, were set to resume on Monday after weekend funerals for the slain workers. Lonmin’s mines have been idle for three weeks, and labour strife has spread from the platinum sector to gold, where a quarter of the 46,000-strong workforce at Gold Fields have staged a wildcat strike, further unsettling investors. In the case of Lonmin, the strike and violence stem from a turf struggle for members between the dominant National Union of Mineworkers (Num) and the small but militant Association of Mineworkers and Construction Union (AMCU), which has flared across the platinum belt. The stakes are high as South Africa sits on about 80% of the world’s known reserves of the precious metal, used to make catalytic converters for automobiles. The price of platinum has been depressed by weak demand, which has put pressure on industry margins at a time when power and labour costs have been rising rapidly. The recent strife has pushed the price up by about 8%.